According to AHDB Pork, the image of red meat is improving with consumers seeing more benefits to cooking the meat on a regular basis. Industry experts have seen a 'major positive change' to the image of red meat, with consumers seeing it more as full of flavour, easy to cook and suitable for any day of the week. 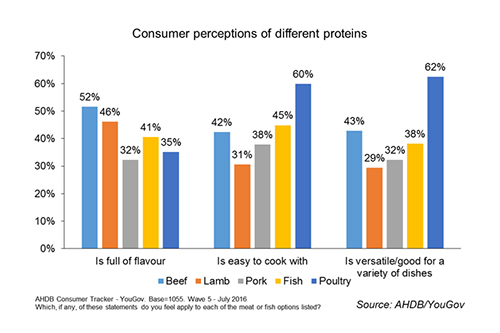 While poultry comes out on top for practicality for the consumer, it falls down in terms of flavour, with only 35 per cent of respondents to an AHDB consumer tracker survey considering poultry to be full of flavour. 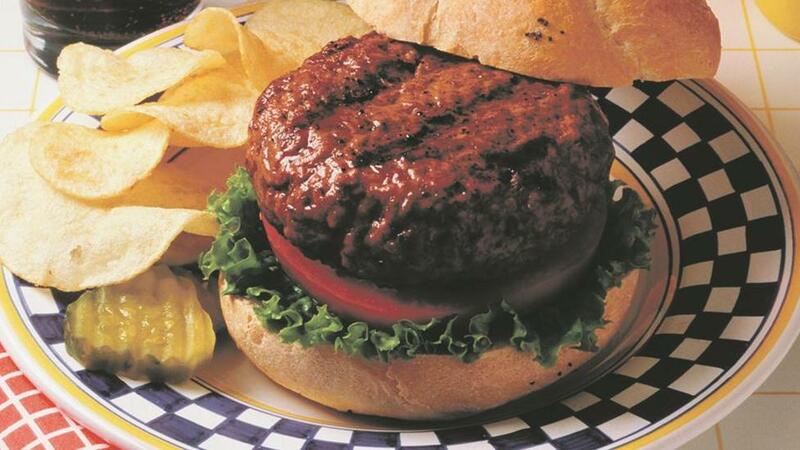 Both beef and lamb scored higher, with 52 per cent and 46 per cent respectively. Results of the consumer awareness survey found that there was a rise in those thinking pork is easy to cook, consumers are less likely to agree that beef, lamb or pork is good for you compared to fish and poultry. Consumer awareness of red meat coverage peaked at 31 per cent in January 2016, following a WHO report published in October, which generated significant negative publicity for red meat. This was double the 15 per cent awareness in the previous wave, but still fell short of April 2013, when awareness was at 50 per cent following the horse meat scandal. Results indicate that beef, lamb and pork fall behind poultry in versatility. But as consumers’ busy lives leave them needing quick and easy meal inspiration, poultry’s easy and versatile image has kept it popular.